Archer Daniels Midland Company recently donated $75,000 to Urban Initiatives. The donation will go toward funding our three flagship programs, Work to Play, Take the Lead, and Play with Potential, as well as Coach for Success, a program we are piloting this year designed to provide ongoing and developmentally-appropriate support for our Work to play Graduates. The donation was given through ADM Cares. ADM Cares is a social investment program that directs funds to initiatives and organizations that drive meaningful social, economic and environmental progress worldwide. The program comprises three distinct focus areas: supporting the responsible development of agriculture, improving the quality of life in ADM communities and fostering employee giving and volunteer activities. 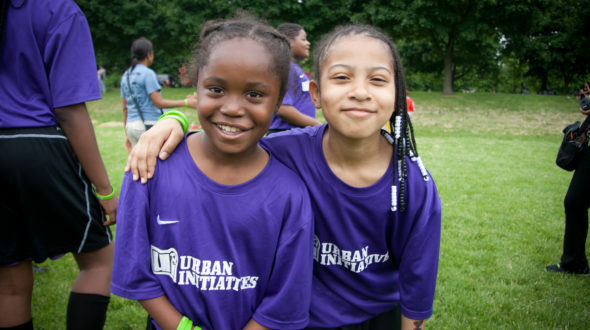 Urban Initiatives is committed to excellence. We make long-term commitments to serving our school communities. Because of this donation, we have the resources necessary for both sustaining and expanding our programs that help strengthen Chicago’s communities by empowering youth to reach their full potential. Thank you to our friends at ADM Cares!